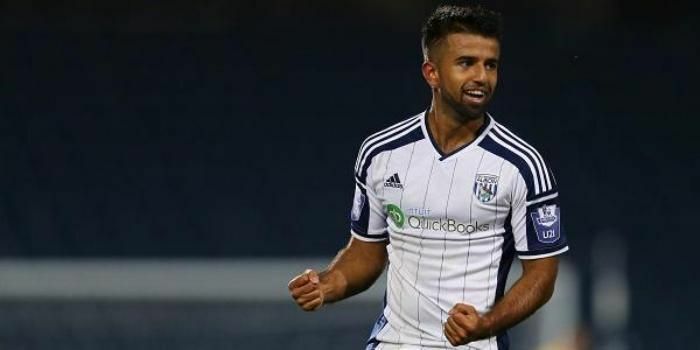 West Bromwich Albion's (WBA) 21-year-old forward, Adil Nabi, is set to become the first footballer of Pakistani-descent to ply his trade in India, after signing for Indian Super League (ISL) club Delhi Dynamos on Friday, 28 August. The youngster moved on loan from the English club, thus becoming the first ever player to move directly from an English Premier League club to the ISL. Explaining his move to West Brom's YouTube channel, Nabi said the involvement of famous football veterans like Roberto Carlos, Nicolas Anelka in the ISL swayed his decision to move to the sub-continent. "I want to go out there and play with the players who have played at the highest level. As a young player, to play with professionals who have achieved so much in their careers, I think it can only help," he said. The Aston-born forward, who has been at West Brom for well over a decade, and has been a prominent face in the club's reserves team, also reiterated his desire come back from his ISL stint and fight for a first-team place at the Premier League club. These 17 sportspersons just won the Arjuna Award. And they're not cricketers.